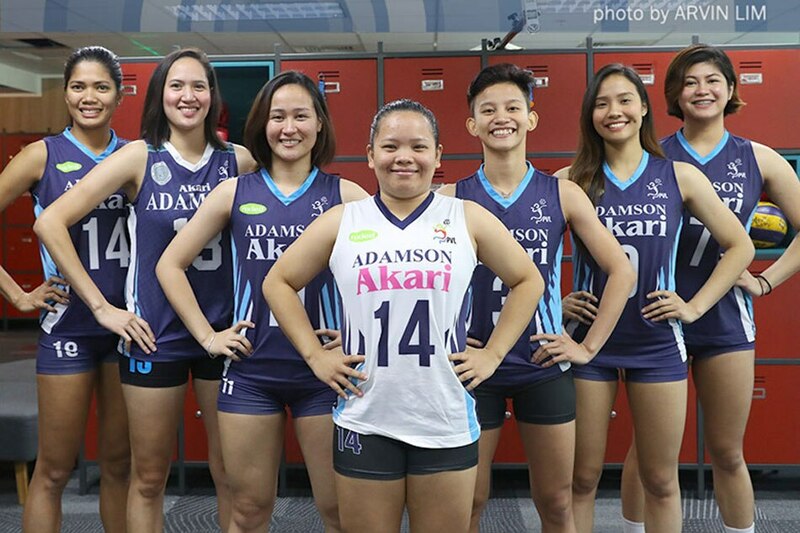 MANILA, Philippines — Season 79 was a forgettable one for the Adamson University Lady Falcons. It took them seven games before they won even one set, and didn't barge into the win column until their final game of the women's volleyball tournament. So troublesome was that year, that the most memorable moment occurred not on the court, but on the sidelines. Coach Airess Padda, then in her first season in charge, was caught on air telling middle blocker Joy Dacoron during a timeout to "do your (expletive) job." Padda apologized to Dacoron for her sharpness, and the coach and the middle blocker managed to coexist for yet another season together. But if Season 79 was forgettable, then Season 80 was nothing short of disappointing for Adamson. The Lady Falcons had a tremendous roster anchored by veterans Jema Galanza and Mylene Paat, along with setter Fenela Emnas and Dacoron herself. They also had a promising rookie in Chiara Permentilla, and transferee Eli Soyud. Adamson underperformed wildly, however, managing just a 6-8 win-loss record. They finished in fifth place in the league standings at the end of the year — a far cry from preseason projections that had them as a surefire Final 4 squad. Expectations are lower now, as they head into Season 81 with Padda is still calling the shots. Gone are Galanza, Paat, and Emnas, while Dacoron and Soyud are now the veterans of the team. To hear Dacoron tell it, though, she almost did not return for her final year of eligibility with the Lady Falcons. After all, she was already preparing for a post-Adamson career — which included teaching, and playing for BanKo-Perlas in the Premier Volleyball League. Ironically, it was her stint with BanKo-Perlas that encouraged her to return. "Doon sa BanKo Perlas, doon ko naano na, inaano din sa akin ng mga teammates ko doon na pahalagahan ko daw 'yung collegiate career ko," she explained. "Kasi 'yun 'yung parang, 'pag nag-volleyball ka, 'yung mga teammates mo naging family mo na. So sa BanKo-Perlas, pinapahalagahan 'yung family." Players like Sue Roces, Jem Ferrer, and Dzi Gervacio — all accomplished collegiate athletes in their own right — convinced Dacoron to give UAAP volleyball another shot. "Ine-encourage nga 'yung family po. Tapos 'yun nga, 'yung realization ko na minsan ka lang maging college. 'Yung attachment ko rin sa mga bata, it's hard to detach. Kaya bumalik ako for them," said Dacoron. Of course, it wasn't smooth sailing. Dacoron still had to "fix her connection" with Padda, a relationship that had frayed over the course of the last few months. "Nag-sorry ako, nag-sorry kaming dalawa," she said. "Na-accept ko naman, kaya bumalik ako." Dacoron said it took her a while, but she has come to understand why she became a target of Padda's ire. "Ngayon, mas na-appreciate 'yung mga pagra-rant niya, mga pagalit niya sa akin, mga ganoon," she says. "Ang gusto lang naman niya is maging disiplinado talaga. And then may nakikita rin siyang mga potential na meron ako, which is hindi ko naa-appreciate, hindi ko nakikita sa sarili ko," Dacoron admitted. As she heads into her final season, Dacoron said she now sees what Padda has long seen in her — all the talent and the promise that went along with her physical tools. "Right now, ina-accept ko 'yung mga sinasabi niya and ginagawa ko na lang ng tama 'yung mga gusto niya," says the veteran. 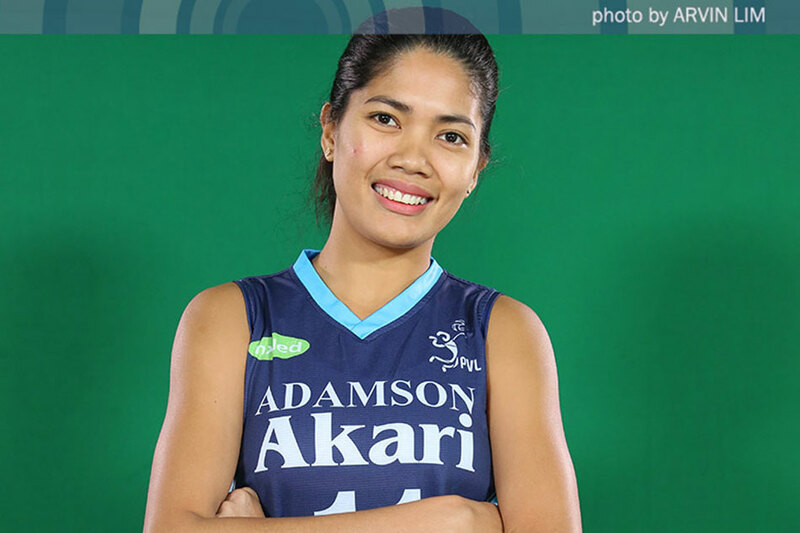 With the offseason drama with her coach now in her rearview, Dacoron can fully focus on becoming the leader that Adamson will desperately need in Season 81. The Lady Falcons will miss out on Galanza and Paat's production on offense and stability on defense, and Emnas' savvy playmaking. Much is being asked of Dacoron to be their defensive anchor at the net, and of Soyud and Permentilla to provide the scoring punch for Adamson. Dacoron said she is ready to shoulder her share of the leadership load. "Sa team po namin, parang in-accept ko na 'yung responsibility na ako ang magbibigay ng momentum sa team," she said. "Dalawa kami ni Eli (Soyud). So parang hinati namin, na ako ang magte-take charge inside the court, na momentum na 'yun." "And also, 'yung mga natutunan ko din outside, na dapat mag-jell tayo inside the court, na kung may error, huwag kayong mahiyang magsabi sa mga teammate niyo na nag-error ka, iwasan mo 'yung mga 'yun," she added. "So parang tanggalin namin ang barrier. Kung ate ka man o hindi, dapat open communication tayo to correct." In this regard, Dacoron is once again leaning on the team that had encouraged her to return to her collegiate home. Her experiences with BanKo-Perlas in the offseason will serve her well as she plays her final year in the UAAP, said the middle blocker. "For me nagbibigay talaga siya ng malaking advantage na naglaro ako doon, lalo na noong nag-international kami. Noong nag-international kami, doon ko na-ano yung great potential na meron ako," said Dacoron, referring to their stint in the Vinh Long Television Cup in October 2018. "Kaya bumalik din ako sa Adamson kasi parang may unfinished business pa akong naano. Nag-start ako ng volleyball sa Adamson, so dapat mag-end ako na high note din ang mabibigay ko sa Adamson," she concluded.